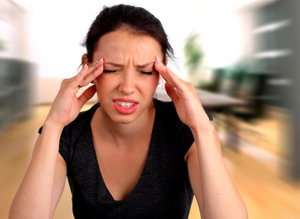 NEW ORLEANS — Seven different drugs are proven to be effective for preventing episodic migraine attacks and another half-dozen are probably helpful, according to new guidelines released here by the American Academy of Neurology (AAN). For many years chiropractors have been getting positive results with migraine headaches as well as other form of headaches. Unfortunately, the chiropractic profession has relied heavily on anecdotal evidence to promote these results, without good research to back it up, but there’s good data to suggest that there’s more to care than placebo effect. The key seems to be in the upper neck. Exactly what that is, has yet to be determine, but there are safe and effective ways to address joint problems in the upper neck. The Youtube clip I’m adding to this post is a good example of one of the safe ways to address headaches mechanically. We provide that technique. The McKenzie mechanical appraoch is also a valid & reliable technique as well, and is extremely effective. Not only is it effective but it puts you in control, not a drug or health care provider! I’ve even had great results with cold laser. If you are looking for an alternative to the medications, these techniques are well worth a try and can be determined in short order as to whether effective or not; saving you time and money. Even if you have been to a chiropractor before, these procedures may be new to you and prove beneficial. If you have questions please feel free to call me so that I may address some of your concerns before you come.